Sevenoaks Maidstone holds 'network event' this weekend | What Hi-Fi? 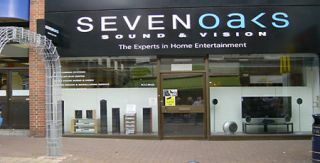 Sevenoaks Sound and Vision in Maidstone is holding a 'network event' today and tomorrow (November 11-12) showcasing the latest products from Samsung and Sonos. Visitors will have the chance to win a Sonos Play:3 system worth £259, and Sonos representatives will be on hand throughout the event to demonstrate the company's latest wireless music kit. Other special offers will be available in-store, so call 01622 686366 for further details.